Photo: The Muelle de Las Carabelas as seen from the Monasterio de La Rabida. Eastern Mojave Vegetation The Muelle de Las Carabelas as seen from the Monasterio de La Rabida. If you have a question or a comment about this photograph you may write to me at: tas4@schweich.com I sometimes post interesting questions in my FAQ, but I never disclose your full name or address. 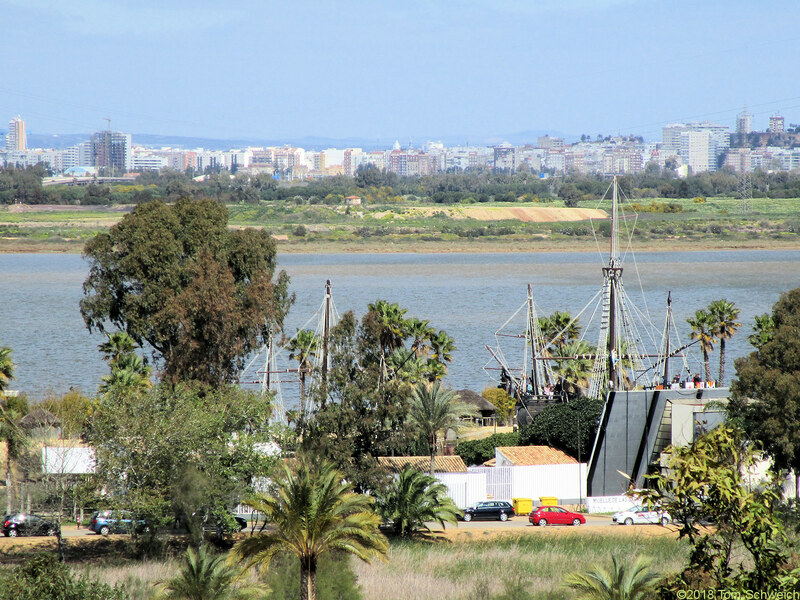 The city of Huelva is on the other side of the Rio Tinto. Field Notes: 29 Mar 2018. Other photos about Spain - Andalucia or Muelle de las Carabelas.